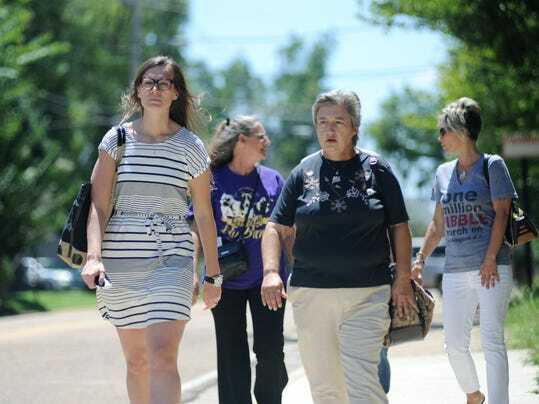 More than a half-dozen friends and new acquaintances, some from locations two to three hours away, gathered to back up the Jackson woman accused of violating Clinton's ban on pit bulls. Leah Thomson of Jackson doesn't even know where Penny the pit bull — Fat Penny as she's known on Facebook — is now, but she'll continue to advocate against breed-specific legislation restricting pits bulls. "Penny's fight will always be my fight," Thomson said Wednesday at a Clinton coffee shop, where more than a half-dozen friends and new acquaintances, some from locations two to three hours away, gathered to back her up. Thomson was in Clinton Municipal Court on Wednesday, cited for harboring the animal because she'd left Penny with another foster owner in Clinton, where the breed is banned. Thomson left Penny in Clinton to recover from injuries after an April dog attack, to keep her away from other dogs and while her house was repaired from storm damage. Thomson was found not guilty for want of proof she violated the ordinance; she and supporters were pleased, too, that Judge Steven Nixon commented on the broadness of the ordinance, they said. About half the supporters stuck around court all afternoon to see the outcome. "I think a lot of positives came out of this," she said. Earlier, she'd put out the call for a gathering to swap stories with supporters, who arrived with their sentiments on their sleeves as well as their lips. No posters, but T-shirts, paw print earrings, a necklace and even a shoulder tattoo conveyed they're in these canines' corner. Part of the aim was education — "nice people" with "wonderful dogs" — and networking, too, so "we all know there are a bunch of responsible pit bull owners out there and we're going to stick together ... and continue to fight this as individuals." The group resembled more a coffee klatch than a protest, but all shared similar views that breed-specific legislation is discriminatory and doesn't target the real root of aggressive dogs: irresponsible owners and bad training. Lori Davis of Jayess said, "I'm here to support Penny and the lady who loves her so much." Her deep purple T-shirt featured a picture of her late dog, Roco, and two others, done up for the International Bully Awarenss Project fundraiser for Shaw Pit Bull Rescue in Columbus. "They are awesome dogs if anyone would ever get to know one. ... They would realize the love that these dogs have. "Don't bully My Breed" her shirt said. "Lover not a Fighter" said the dog-shaped pendant on Leslie Vinson's neck. She pulled up the sleeve of her T-shirt to show a tattoo of her "goofball" pet, Forrest Gumbo, his face in a heart with flowers. Formerly a Madison County resident, she now lives in New Orleans and works at Belladoggie, a dog care/boarding facility there. She recalled the difficulty of finding a place to rent in Ridgleand, as the owner of pit bulls. She admitted she was a bit afraid, because of what she'd read, when they first brought home what they thought was a boxer mix but was a pit bull. They researched the breed and the experience "changed what I think about them. ... I don't have kids, so they're like my kids," she said. "I'm gonna cry," she dabbed her eyes as she told of walking her dog and people's frightened reaction. "I don't understand because he's so sweet, and it makes no sense to me." The Clinton ordinance, adopted in 2006, bans these breeds: American pit bull terrier, Staffordshire bull terrier, Amercan Staffordshire terrier and Rottweiler and dogs whose sire or dam is a banned breed. Clinton Police Chief Mike Warren said this particular case has generated much interest but the ordinance generally hasn't been a problem, with most dog calls coming from complaints from the public about animals running at large, a bite, a dog in unsanitary conditions or a dog being one the banned breeds. 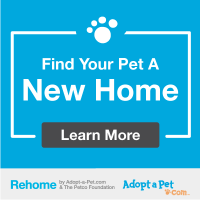 Thomson said, "Penny will always be in my heart and part of the reason I'm doing what I'm doing," said she hopes to connect with the new owner once the dog is adopted. "I've been completely assured that she's safe and healthy and they'll be looking for a wonderful home for her, and I trust that will be done." The fact that the dog hasn't been adopted yet, despite a social media presence that's garnered thousands of "likes" both is and isn't a surprise, she said. "It takes as long time to adopt a bully breed," and areas with breed-specific laws cut out a lot of families, she said. She last saw Penny two weeks ago when she'd been boarded at an undisclosed facility. The organization with the rights to the dog decided to not place the dog with her. "Not my choice," she said, declining to say whether media coverage prompted that move. The copper-colored dog looked good when she last saw her, and she'd lost a bit of weight. "I just hope whoever gets her loves her, treats her well and puts her on weight management food." Thomson said her top goal is safe pit bulls. "We need to start focusing on individual dogs rather than just breeds in general." Not every pit bull will attack, bite or be aggressive. "There are more that are going to be well-behaved than not well-behaved." Contact Sherry Lucas at slucas@jackson.gannett.com or (601) 961-7283. Follow @SherryLucas1 on Twitter.